Firewall keep updating their database with latest proxy solutions and block them. 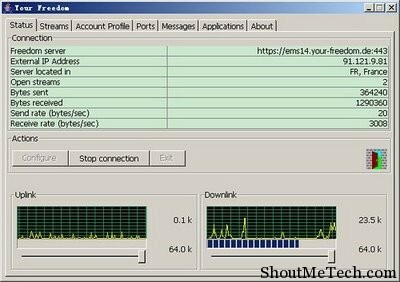 If you are one of those who are in this kind of situation, a good solution for you is to use either VPN or use a proxy software like Your-freedom, Ultra-surf which in a way bypass most of these firewalls. Proxy software which I’m talking about is your-freedom which offers paid and free version of its software. Though if speed is not your prime concern, you can always use their free version. 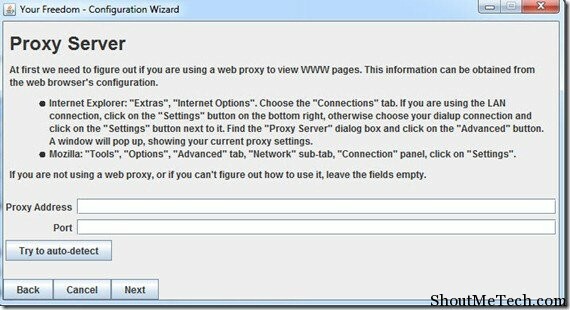 Your Freedom is a proxy based software which creates a connection to Your-Freedom servers..
Just in case if you surf from a place where you need to add a proxy setting into your browser settings, you need to add same detail in the screen shown below. For the user who are directly connected to internet leave it blank. Now click on search server and it will automatically search for the server and it will show you the list of available server, use the most preferred server. About your privacy don’t worry all servers use HTTPSÂ so your information are as safe as it is with you! Once the server is selected In the main window click on start connection. Overall Your-freedom is a good solution in many cases where your network firewall blocks all common proxy sites and proxy software. With Your-freedom, you can always change the connecting server and you will be able to bypass your firewall restriction. Do give it a try and let me know your experience with it. Don’t forget to share about Your-freedom with others on Facebook and Google plus.